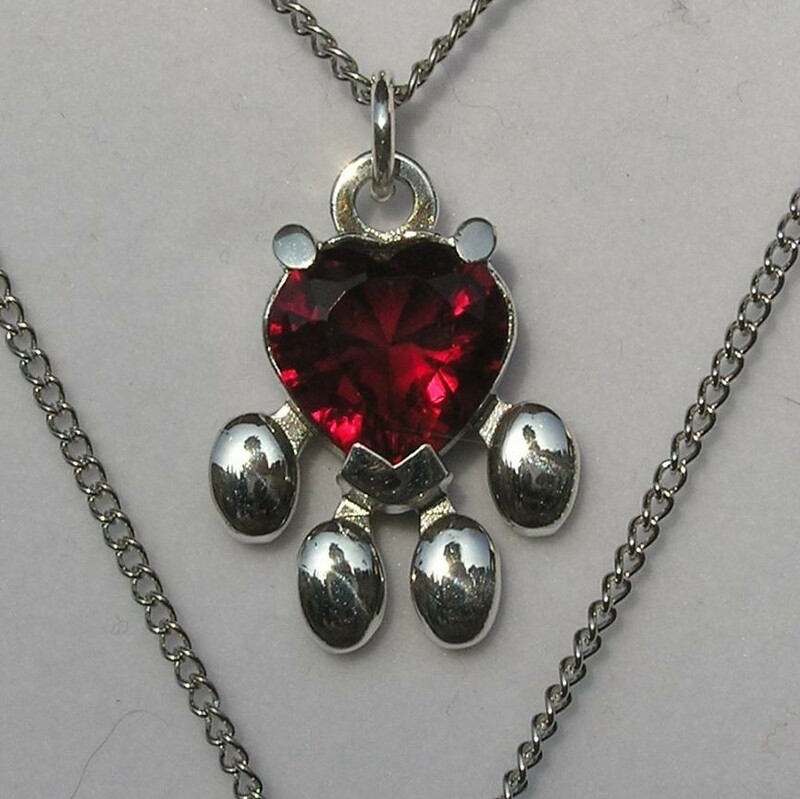 Sterling silver Paw pendant with Red lab created faceted heart shaped stone . Each pendant is custom made when ordered and may take up to 30 days to receive. But we try to do it faster. We do ship world wide!! This is the same stone we use to create Pepper Pott's necklace in the film Iron Man 3 we had a few left so we made some paws out of them.